Manage Your College, Easily & Perfectly!! Advanta Rapid ERP is a award winning, powerful and user-friendly top College Management Software and Administration ERP System. Using this single college software system, you can easily manage and take care of all departments & functions of your whole college. Advanta Rapid ERP is a powerful and user-friendly College Management ERP System. This software helps you to easily manage your students, teachers, staff and more in your college. All the functions like student enquiries, admissions, registration, fees collection, timetable, library, attendance, payroll, examination, campus, and canteen can be best managed by using this software. Managing a college manually is a challenging task. There are thousands of students and almost double the number of parents. There are a number of teachers and staff members in a college. Managing data of all stakeholders manually can be a complex and time consuming task. To establish a good reputation of your college you need all information regarding your students, their parents, teachers, and staff on your tips. And this is possible only by using a good college software. 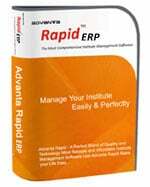 Advanta Rapid ERP is not only a good college software. But it’s also very good school management software and institute management system. No. We want a maximum number of colleges to benefit from features of our College Management Software and Administration ERP System. 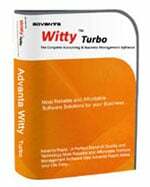 So we are providing the college software at a very fair price. Moreover, as per our experience, most of our customers have recovered the total cost of purchasing the software within first six months or a year by best managing their college. Contact us for a free demonstration of College Management Software and Administration ERP System. We are 100% sure that you will like by its features, flexibility and ease of use a lot! !